A few days ago somebody asked on Twitter: ‘Imagine there is no medicine or intervention. How would you have died and at what age?’ The answers were many and varied. I was interested that so many people – including the asker – seemed so sure. Me, I could have died right away as I developed aspiration pneumonia at the age of six hours. I had a couple more infections that cleared with antibiotics as a child, all potentially fatal events. But modern medicine also means we don’t get a lot of diseases that have been kept at bay not just thanks to better diets and living conditions, but also vaccinations and prophylaxis. We’re not just better at curing ourselves, but also at not getting sick. Therefore the hypothetical question, whilst intriguing, can’t really be answered with any great certainty except in limit cases of extreme complications at birth. Four generations ago, in countries like ours, childhood used to be a leading cause of death, as demonstrated by the ghastly institution of the poor having to take out funeral insurance for their young. (Therefore becoming poorer. Therefore increasing the risk.) I remember my own grandmother reminiscing about deaths in the village and explaining some of them away, with a fatalistic shrug, as having belonged to children: ‘They were just little,’ she would say. Mass preventable death, in the form of unequal access to medicine, is an appalling mark of our age. Back then, there was just so much less anyone could prevent. Reference books on family health, a genre that was very popular in literate homes, allow us indirect access to the prevailing psychology of a time when life was far cheaper than it is today. Published by the London imprint Ward Lock & Co, The Home Doctor dates back to 1926 and was sold as far as New Zealand. Its prescriptions were general and universal, if not its advertisements. 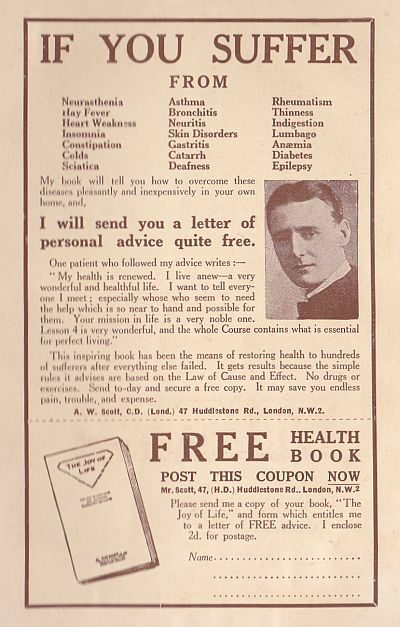 On the subject of which, I wish I could send away for a copy of AW Scott’s free health book The Joy of Life, guaranteed to help sufferers overcomes diseases as disparate as hay fever, sciatica and diabetes without ‘drugs or exercises’. What are ‘Perry’s Powders’, and will they keep my children fit and well? 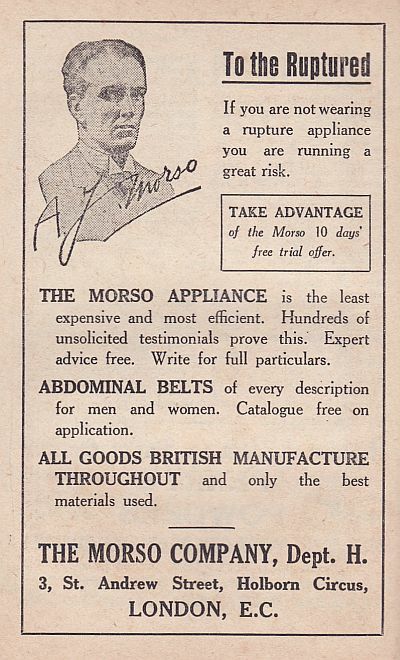 Another advertisement, addressed ‘to the ruptured’, urges hernia sufferers to purchase ‘the Morso appliance’, which appears to be nothing more than a sturdy, British-made abdominal truss: the first in a long list of words in the book that aren’t really used anymore. The reading greatly enlarged, or maybe I should say backdated, my vocabulary. I didn’t know a constitution could be said to be scrofulous. Nor that a ‘lousy scalp’ is literally a scalp affected by head lice, which is where the word lousy comes from. (Sorry if this is painfully obvious to you.) I didn’t know the word aperient nor the word poultice, the latter used here to mean what I knew as a cataplasm. Or that a fomentation was the act of applying said poultice, and that it is also were the verb foment comes from. Or that tonsillitis used to be called quinsy. And so forth. Some of the advice is on the quaint side, too. When in doubt, the authors either advise to administer endless fomentations or to paint the patient liberally with iodine. (The unpleasant yellow tincture hadn’t been quite phased out by the time I was a child.) For cases of concussion, they claim the best practice is to retreat to a quiet, darkened room. An alarming number of conditions seem to require placing the person in a well ventilated room and making sure they abstain from talking, for some reason. Eating gruel and taking baths are also listed as popular remedies. the patient’s friends are usually a great hindrance to the successful treatment of the disease. They either display a foolish sympathy or believe the disease to be imaginary. Which frankly strikes me as quite insightful. A healthy, full-grown man, doing a moderate amount of work, requires daily about 4 and a half ounces of nitrogenous, 3 ounces of fatty and 15 ounces of sugary and starchy food, besides 1 ounce of saline matter. But this pocket medical encyclopaedia for the home tells another story. 1926 was after the invention of vaccinations but before the discovery of penicillin. The world’s most affluent and technologically advanced societies were still at the mercy of a great number of diseases, while some centuries-old mass killers – such as typhoid, diphtheria and smallpox – were finally on the retreat. Cancer was all but completely untreatable, as reflected in a sparse, timid entry that declares it to be ‘out of the scope of this work’ and hopefully suggests that ‘electrical treatment has, in many cases, very satisfactory results’. 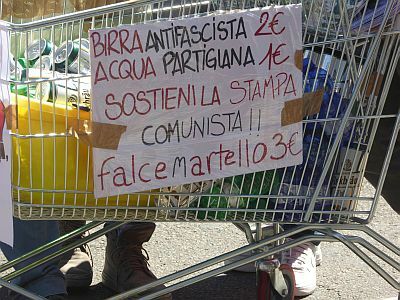 In my country at this time uneducated people called it il brutto male, ‘the bad disease’ – at once a euphemism and a sentence. 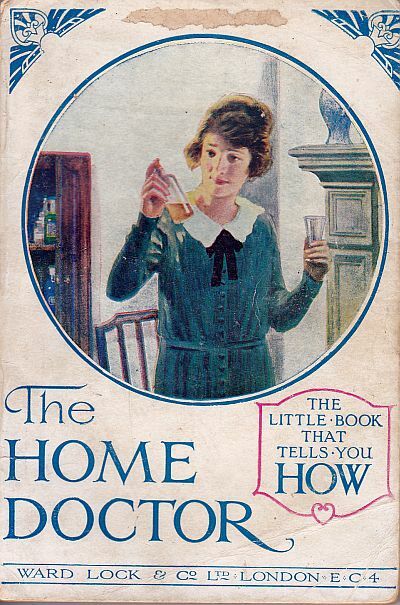 The social significance of the book lies in the fact that this was an age when home medicine was still widely practiced, and included not just treating any number of minor ailments without so much as a trip to the apothecary but also caring for incapacitated family members via the institution of the sick nurse – who may either be a professional or a family member herself. Home is where you were born but also where you died. 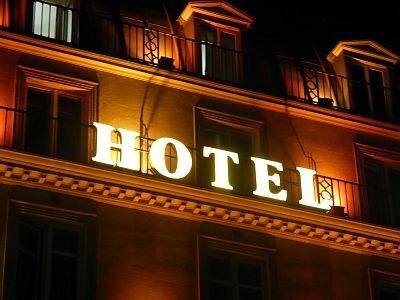 Thus, strict rules are given in the book for the daily care and disinfection of the sick room, and even stricter timetables for the segregation of contagious siblings, parents or children: in upper-floor rooms as far away as possible for the family, after having removed ‘curtains, carpets, woollen goods and all unnecessary furniture’; rooms that would reek permanently of carbolic acid, sulphur or borax – the smells that haunted the gravely ill. Within an hour or so of death the eyes should be closed, a four tailed bandage should be applied to the jaw to keep the mouth closed, and the limbs should be straightened out. I am reminded that when lives were shorter, death was more normal; that even if it still affects all of the people, it was more of an everyday occurrence back then than it is for us, at least in the countries where this little book was sold. Things could change again, of course. I’m sure it never occurred to the pioneers of the medical use of penicillin that some day their miracle cure could stop working, and time be wound back. This and other developments might drive us back to the widespread use of sick rooms in our homes, and to a new normalcy closer to death and disease. You never know when the old books could become useful again. 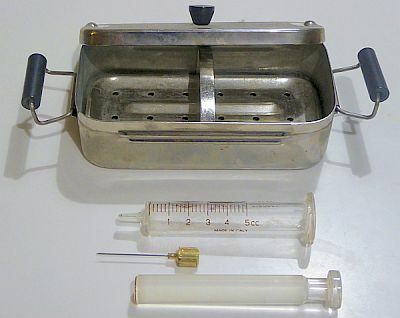 In my family we had our own glass syringe, just as The Home Doctor prescribes as part of the medicine chest that every home needs. I remember that when the local nurse came calling to give me a shot of penicillin when I was a child – one of those times I could have died, if we’re still playing the game – she asked if we had one, and we gave her that, and it was the last time I saw it being used. I saved it, anyhow. Of such objects family histories are also made. Wellington friends: this Friday I'm taking part in a reading at Pegasus Books (Left Bank, off Cuba Street) along with Greg O'Brien, Lee Posna and the great Ashleigh Young. It starts at 7pm, come along. More details here if you're a Facebook person. It may not be the best reason to fund the arts. It’s certainly not the only one. 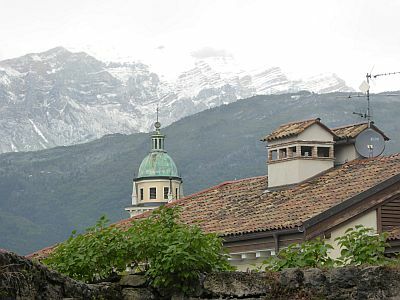 But travelling to the small city of Rovereto, at the feet of the Italian dolomites, reminded me of the lasting influence that a single great artist can have for a community. 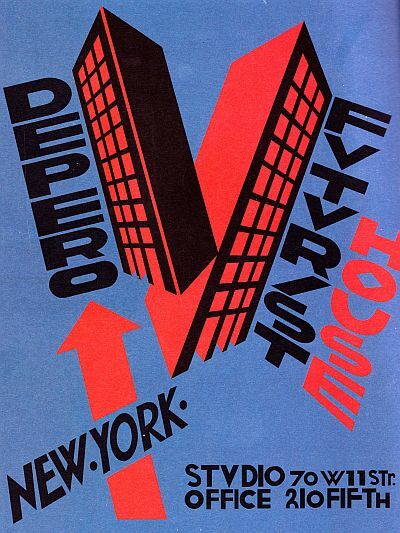 To complicate the story a little, this particular artist – Fortunato Depero – just so happened to have been part of a movement that was intimately connected with Fascism. Filippo Tommaso Marinetti, the man of wit and genius behind the Futurist manifesto which Depero co-signed, was also a squadrista who took part, among other things, in the armed expedition against the offices of the socialist newspaper Avanti! 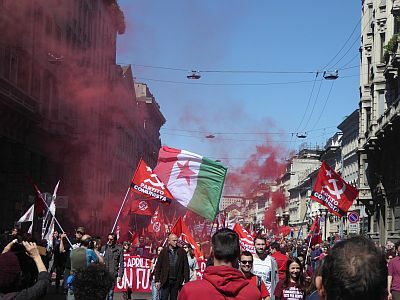 in Milan, in the April of 1919, one of the key milestones in Mussolini’s rise to power. 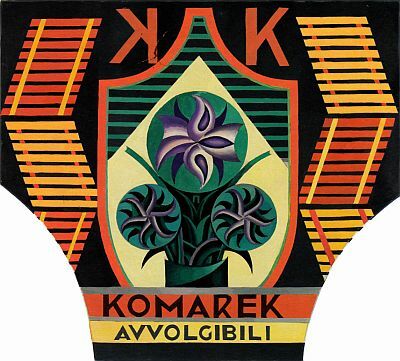 In the following years, a movement that was born over a decade before the inception of Fascism became one of the official forms of expression of the regime, furnishing it with an aesthetics that fit seamlessly with its political project. 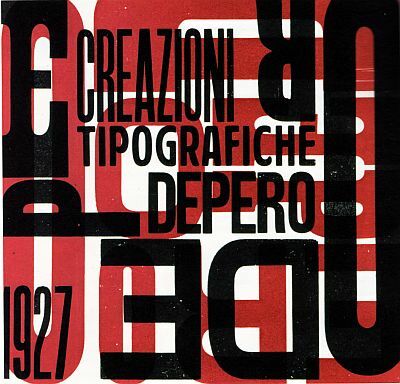 Depero grew up in what is now Italy, but was then Austria. Rovereto was small but had an excellent art school, the Realschule, which he attended. Then when the first world war broke he volunteered to liberate the province and claim it back for Italy. 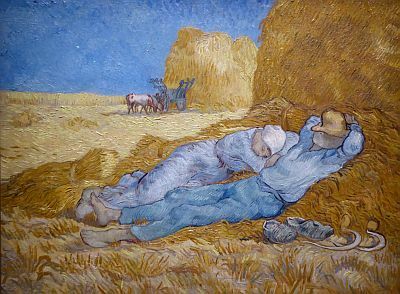 Had he not been taken ill, which resulted in him being sent home, he might have died at the front like fellow Futurists Umberto Boccioni and Renato Sant’Elia, and I’d have no post to write this week. My son and I entered Depero’s house in Rovereto from the top floor, which was closed to the public but this fact wasn’t signalled well enough so we pushed the door opposite the elevator and got in. 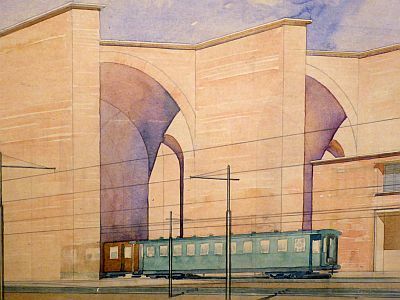 There we found an exhibition – either in the process of being assembled or dismantled – of Sant’Elia’s seminal architectural paintings and drawings. Sant’Elia, who was also a volunteer in the Italian army, was decorated twice. The first time in Monte Zebio, for taking command of a platoon whose officers had been killed, and returning to the front after receiving medical attention, against his captain’s orders. The second time, in Monfalcone, for leading the assault in which he lost his life, aged 28. Had he survived, he would have no doubt become the great architect of the regime. 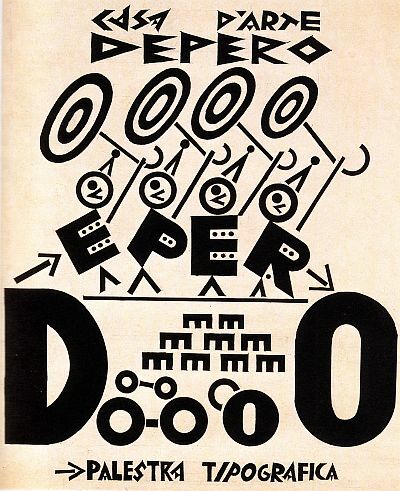 Depero was never a squadrista, nor did he agitate for war, or wax triumphantly in public over Italy’s bloody colonial conquests. Yet he was a man of the regime, even as he spent half the years of Mussolini’s rule in New York, working in advertising and at the boundary between art and design, while still pursuing the principles of the manifesto. Some of his posters from this period grace the streets of Rovereto in unexpected places, such as where a shop front has been permanently walled up. 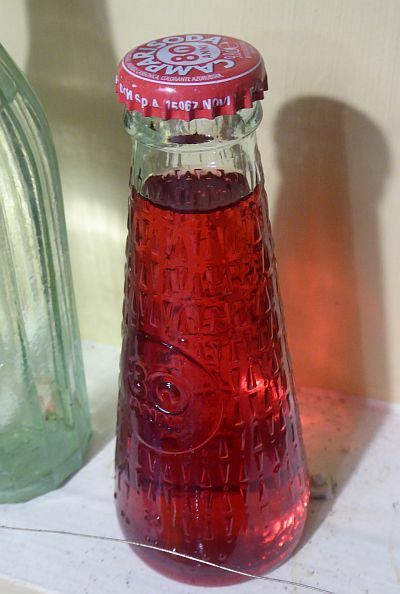 In 1932, he designed the bottle for Campari Soda. The museum’s shop let us take one with us to New Zealand, as that particular anniversary vintage wasn’t for sale. 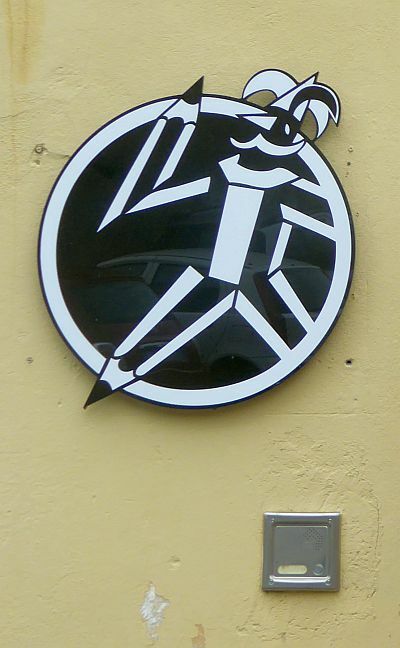 The Realschule has long since closed down, but a new art school has been named after him. 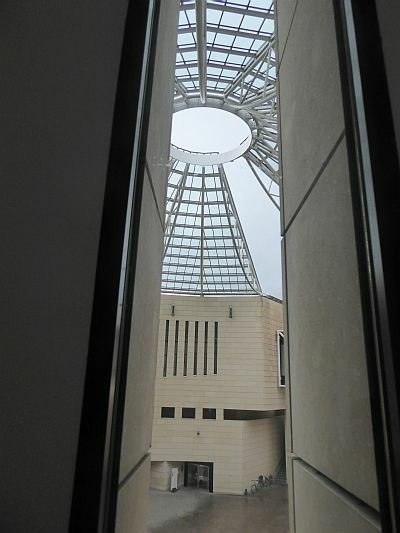 Above all, however, his legacy survives in the form of his house-turned-museum, and in a new branch of Trento’s MART, the museum of modern and contemporary art which houses some of the works he collected, and has now responsibility over the Casa d'Arte Futurista Depero. The MART – a purpose-built storehouse whose central dome is modelled after the Pantheon in Rome – reminded me of the Len Lye Museum in New Plymouth, which I have not yet visited but strikes me as a similar concept, leveraging the star power of a late local artist to draw crowds and create a new piece of public art infrastructure: sustained by tourism, yes, but hopefully also serving as a place for locals to visit and enjoy. Somewhere to meet art, and difficult art especially. 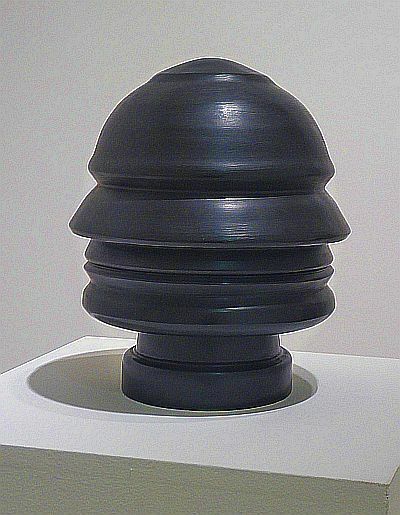 For the function of contemporary art has to be to challenge and critique, more so than the masterpieces of the past. 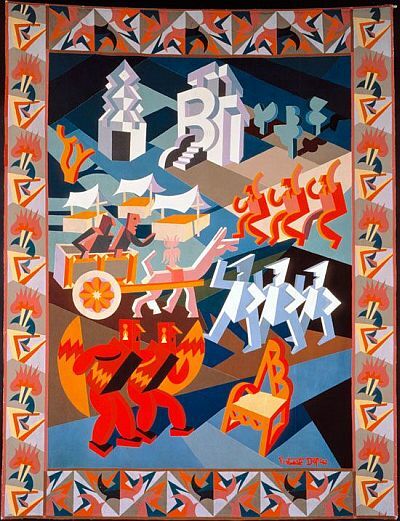 Before Depero’s dream became a reality, decades had to pass so that Futurism could be thought of as anything other than the art of power – and an oppressive power at that. We can now revel in the contradiction, or admire at some critical distance works such as Renato Bertelli’s ‘infinite profile’ of Mussolini. 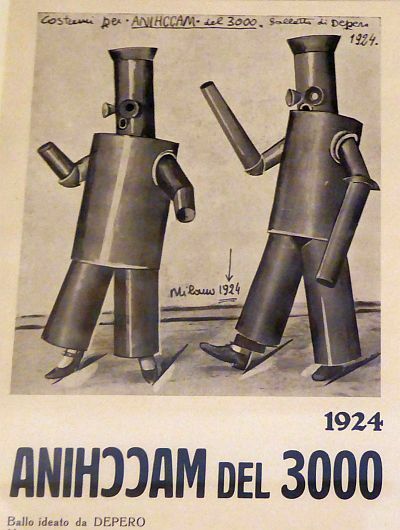 It is perhaps my weakness that I can’t stay mad at Futurist art too long. 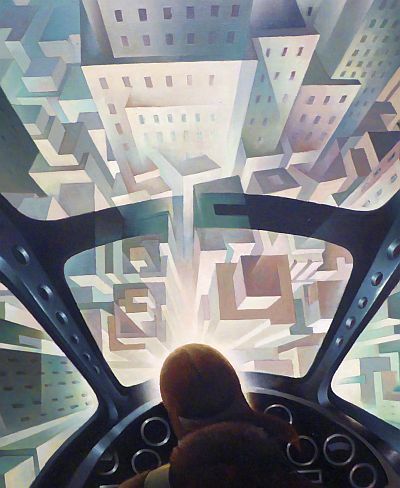 Even minor works, such as Tullio Crali’s ‘Diving over the city’. 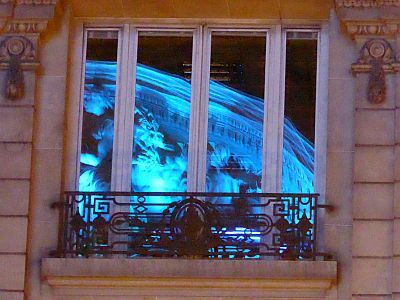 Besides, the MART houses a number of De Chiricos, one of those monoliths by Arnaldo Pomodoro and at time of our visit at least two fine temporary exhibitions, including Giuseppe Penone’s sculptures incorporating trees in the act of growing. 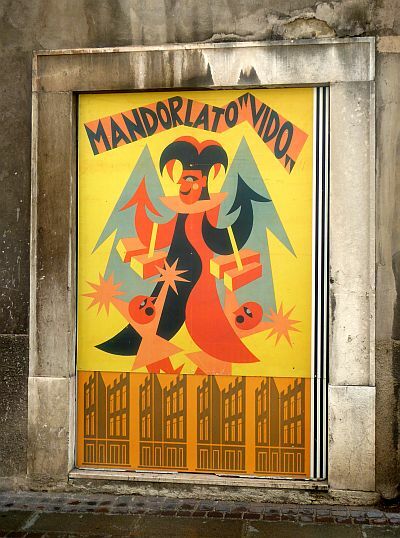 But we’re mostly looking for Depero. At the house, we find the marionettes for Balli plastici, his incredible furniture, plans for a dance of robots he devised in 1924 and was upset to learn was performed in the Soviet Union three years later. 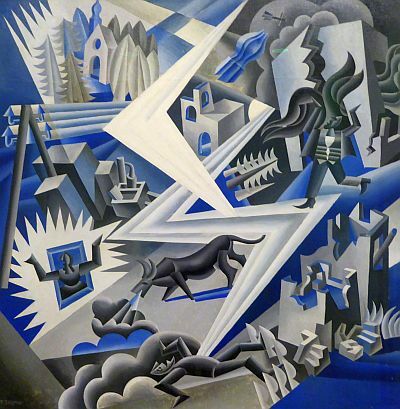 The Lightning Composer, an oil on canvas from 1926. His great tapestries, including the ‘Feast of the chair’. This advertising panel for a maker of Venetian blinds. 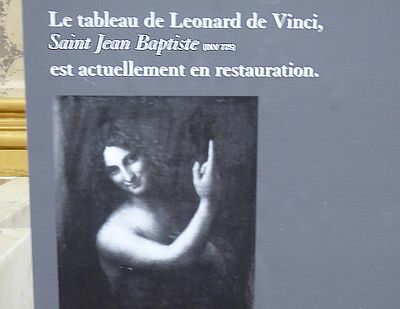 And his typographical work, which I admire above all else. We enjoyed Rovereto a great deal. We would have enjoyed it, I suspect, even without visiting its museums, for it is very charming and on this particular day the sun’s attempts to break through the clouds created pictures that would have made Turner drop whatever he was doing and rush to the easel. But we wouldn’t have travelled there had it not been for the artist, whose work and whose desire to build something of lasting value in the place where he received his education are a significant contributor to the prosperity of the city. Art, which is a necessity, sometimes produce great material returns, and I don’t know if that should be the paramount reason for investing in it. Seeing this city transformed by it, and made better for it, I figure it can’t be the worst reason either. 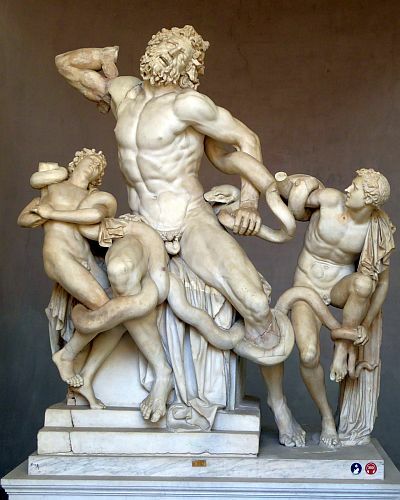 I visit an old friend, the wretched Laocoon, as he’s about to be dragged into the sea by giant serpents. The statue was recovered in 1506 during the excavation of an ancient villa in Rome and they say that Michelangelo watched as it was unearthed. It had been described by the historian Pliny, who attributed the Greek original to the sculptors Polydorus, Agesander and Athenodoros. But this is a Roman copy made some three centuries later, just this side of the birth of Christ. Laocoon was a priest of Poseidon who tried to warn his fellow Trojans not to accept the wooden horse from the besieging Greeks. ‘Come on, people, it has a suspicious looking door! It’s the classic Trojan horse!’ he may have said. Virgil, as was his way, attributes to him a more sophisticated and persuasive speech. 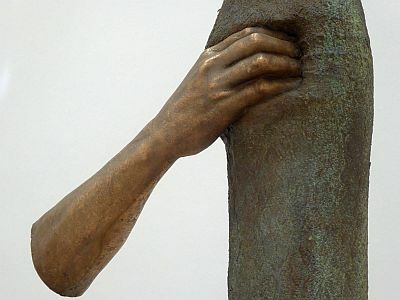 It ends with the words ‘timeo danaos et dona ferentes’: I fear the Greeks even when they bear gifts. But the Trojans wouldn’t listen, and for good measure Athena instructed Poseidon to quietly dispose of Laocoon and his two children. ‘Get in the sea,’ he may have said. So you have the Greeks who plundered Troy and then the Romans who plundered the Greeks and took or more frequently copied their art (which is the same thing), then fifteen centuries later it’s found and it inspires Michelangelo, then three hundred years later again Napoleon comes and he takes it to the Louvre, to serve as the centre-piece of the treasure trove of a new empire. Now it’s back in Rome, at the Vatican Museums, along with things that never belonged there and some that did, but then there is no accounting for the origins of the wealth that produced the Renaissance. Literal blood might as well trickle out of these things, seeping through the cracks in the marble from where they stuck Laocoon’s missing arm back on. 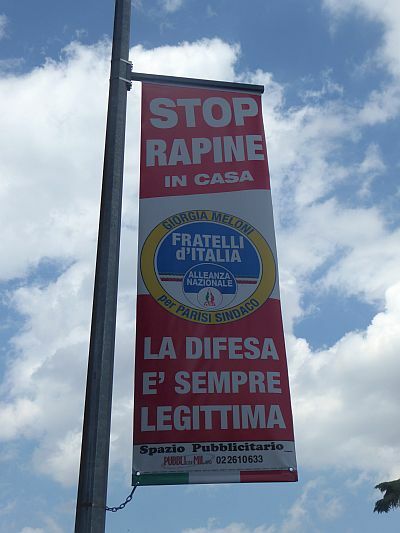 But of course you don’t think about any of this when you visit Rome or Paris. Or maybe you do. Appropriation – of styles, of symbols, of actual things – is not just what imperialism but also what culture is about, and so these great cities are histories, both military and social. You know this and yet you don’t. You see this and yet you are seduced by that greatness, by the wealth of those nations of which they are monuments. 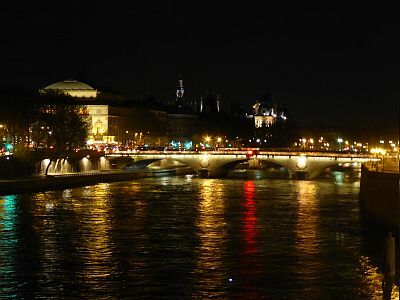 My eldest son and I visited Rome and Paris in quick succession, and how could you begin to compare them? 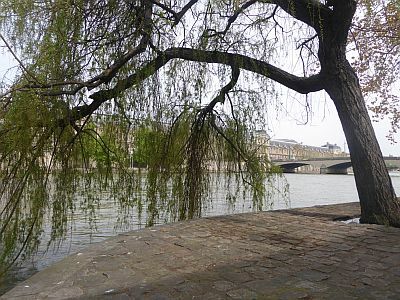 One has the Seine, which has an island in it. 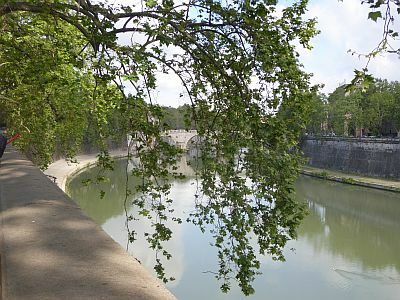 The other has the Tiber, which has an island in it. 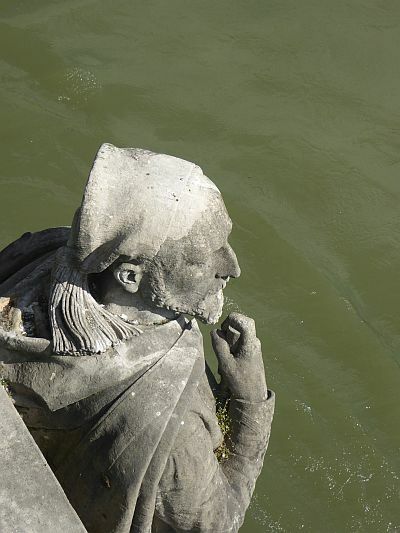 Which is the Seine and which is the Tiber? 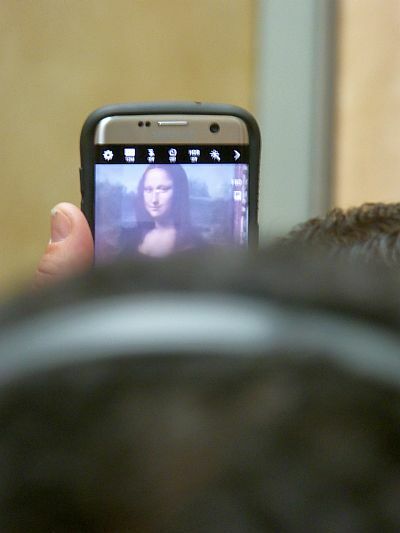 One has the Louvre, where you can see the Mona Lisa through another tourist’s camera. 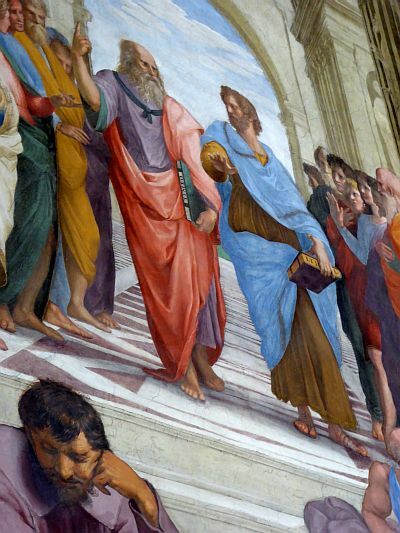 The other has the Vatican Museums, where you can take photos of Raphael’s School of Athens from an angle hitherto unavailable on the internet. Or you can see the Sistine Chapel, but not take pictures. Or even talk. The chapel is always densely crowded and is patrolled by attendants whose job strikes me as a punishment worthy, if not of the Hell whose gates were painted by Michelangelo, at least of Purgatory. It consists in telling people off for talking. The scene goes like this. One or two of the attendants shout: ‘Silence!’ (In English, always.) We, the tourists, stop talking. Then after two, three minutes, some begin to chatter quietly. Encouraged, others do the same. A solidarity bordering on camaraderie is created. In another minute or two, we are all talking. Then one or two of the attendants shout: ‘Silence!’ and the clock is reset. It’s so precise and predictable that you could soft boil and egg by it. But what truly gets me, and turns the attendants’ job in my eyes into a torment, is that their tone is never officious: they sound genuinely angry, of the kind of anger that comes from moral outrage and shock. Listen to me: this thing that so surprises you has happened eight times in the last hour. We shall soon be replaced by a new group of humans who will behave in the exact same way as us. You need to come to terms with this. 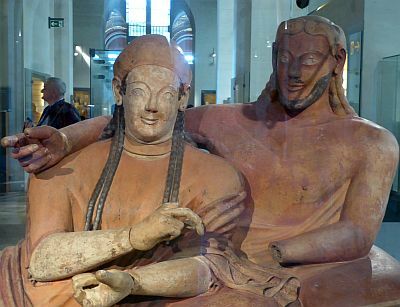 At the Louvre, I look for one of my mother’s favourite pieces of art, the Etruscan Sarcophagus of the Spouses. I take a bad picture of it so I will remember having seen it. Did you know? 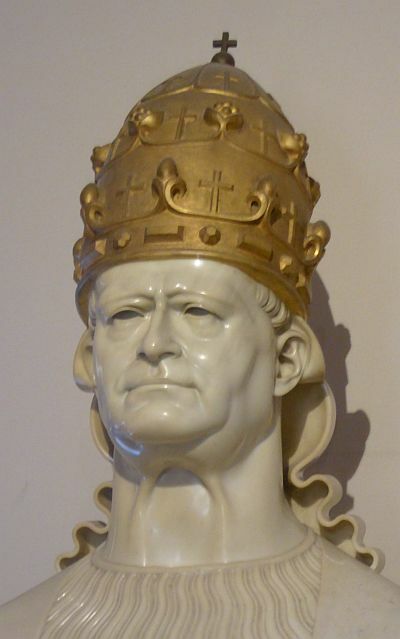 Peter Boyle was chosen for the role of Frankenstein after his turn as Pope Pius XI in this bust a the Vatican Museums. But then in Rome you can have una granita di caffè con panna (a coffee granita with cream), which Marcello Marchesi called ‘the most beautiful eleven-syllable line in Italian poetry’. 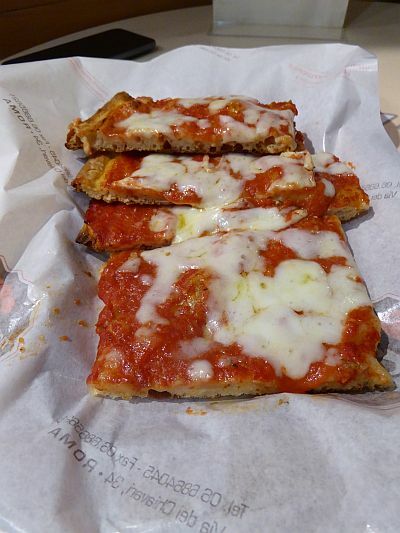 Or the pizza al taglio from Roscioli. 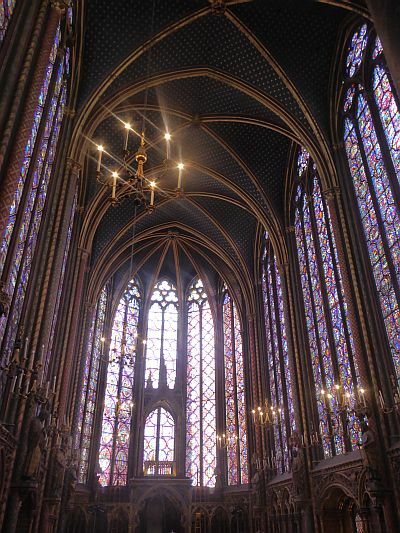 Paris has the Sainte Chapelle, which made my church non-admiring son emit an audible gasp of awe. Rome has San Clemente, the church built on an earlier church built on a pagan temple built on a Roman building built on an earlier Roman building, so you can go down at each level and the stairs are like a time machine. 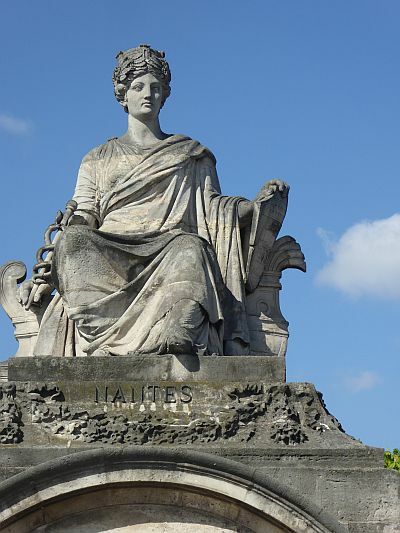 Paris has the allegories of major French cities in Place de la Concorde. This is Nantes. 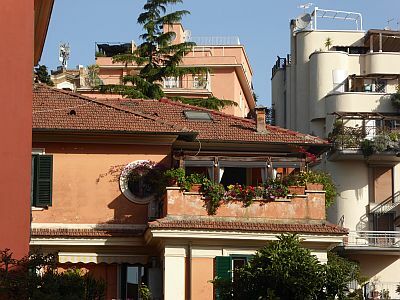 Rome has the balconies and terraces around Trastevere, that perhaps more than any other thing in the world make me wish I was a rich man. 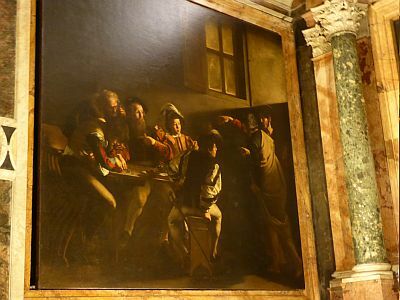 Rome has Caravaggio, although you have to put 1 euro in the slot every five minutes or it goes dark. 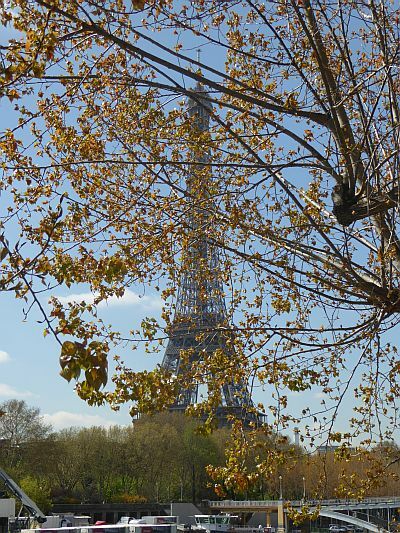 Paris has the Tour Eiffel, which I think is very pretty so shut up. 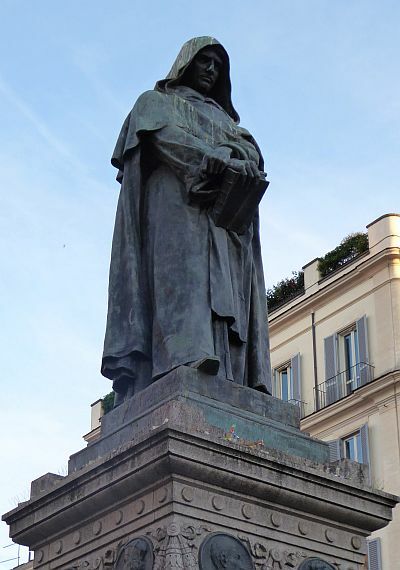 Rome has this statue of Giordano Bruno, placed in the square where they burned him two hundred years earlier after cutting his tongue so he couldn't address the people. He stands in judgment. And I could go on. But you see how pointless it is to compare? 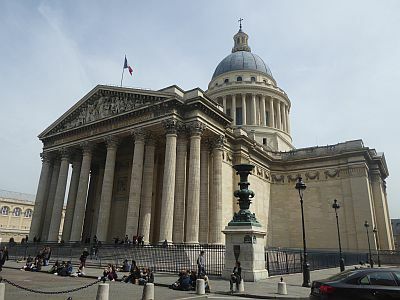 Paris has a Pantheon. 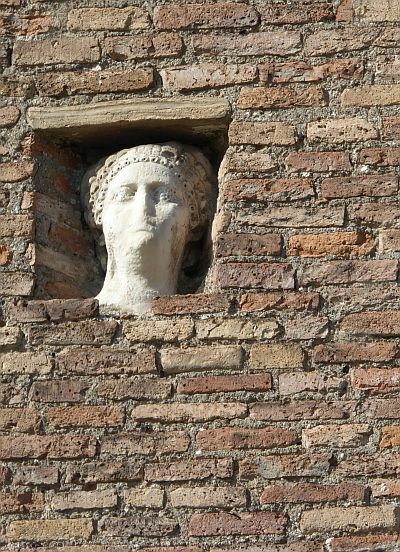 While Rome has the Pantheon, that most unlikely, uncanny of buildings, which survived two thousand years like no other, and in which the Renaissance is already encoded: a triangle, a square a circle. This picture isn’t mine. 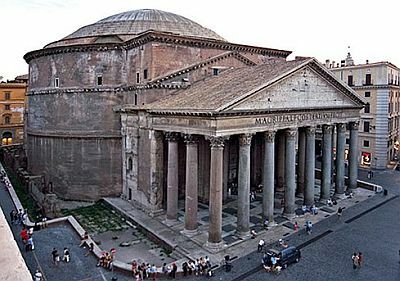 The Pantheon is my special place, the place I can forget that history exists and that any blood was shed to create such wonderful things, or that it’s even a church, now - for everyone still calls it the pantheon, the place of many gods. 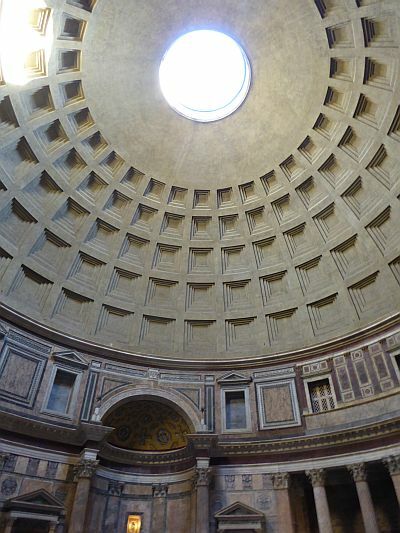 That impossible dome, the pure genius of that hole in the ceiling (the ‘oculus’). I could die there or simply forget who I am and disappear. To sum up: it would be pointless to compare these two great cities although it’s Rome, obviously. Every time. There is a famous passage in Paul Bowles’ Sheltering Sky about how life appears to us as an inexhaustible well of experiences, whereas in fact everything happens a fixed – and diminishing – number of times. 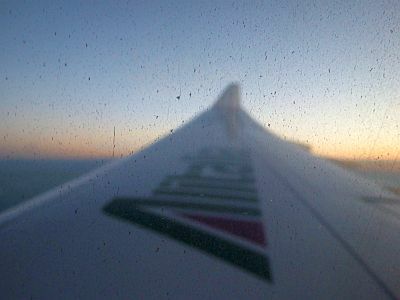 It’s the realisation that made me ask myself, upon leaving Venice a few days ago, if I would ever be back. For who’s to say? Sooner than I think I may run out of opportunities to travel there or children to show it to. Finally, of the very desire to go to Venice one last time. Back when I lived three hours down the railway line, such thoughts would have seemed quite absurd. In their final years together, my parents were keenly aware of this boundary, and that every chosen holiday destination foreclosed another. Every year they had to decide whether to revisit a cherished place or venture somewhere new. They weren’t morbid about it, they had just come to terms with the obvious, the inevitable. Yet sometimes the opposite occurs. And so it’s the third time now that I’ve said my last goodbyes to the house I grew up in. Every time I think it’s the last, while the apartment becomes emptier and dustier, and the procedure more drawn out. Every time there are new things for me to do around it, acts of arcane bureaucracy that I didn’t know existed, each requiring two appointments: one so I can understand what is required of me, another one to do the thing. I took my eldest son this time – hence, among other things, the trip to Venice – but we spent little time in my hometown of Milan, while the days between all those first and second appointments were scheduled elsewhere: just enough time to see my friends, and for Joseph to buy his weight in comic books at the same shop where I gambled so many of my weekly allowances three decades ago. 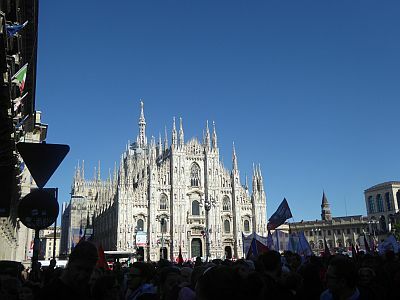 But Milan holds few other attractions for me right now. 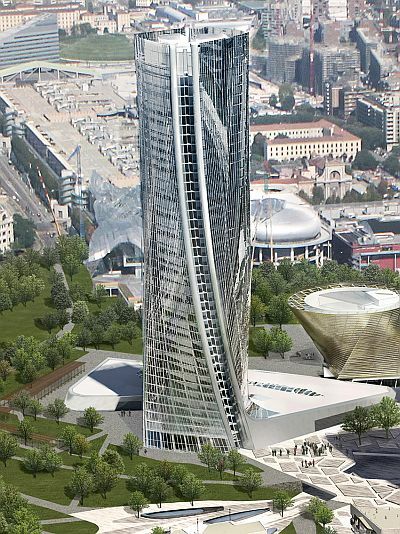 They did it up for the Expo, and a new, ghastly corkscrew-shaped tower is going up next to the old place. These daring (read: boring) buildings are a sort of tax on cities that still aspire to global recognition. Here’s an artist’s impression. The horseshoe building three quarters of the way up the tower on the right is my primary school (or, as I call it, ‘the compound’). The rest of the city is more or less where I left it, heightening the sense that I’m stepping back into nowhere, or my past – which are one and the same. I suspect it is a common experience for the migrant, that of looking for confirmation that things haven’t changed and gradually losing the ability to locate the new. It’s a state of affairs I contribute to engineering, for instance, by doing rote, ritual things such as attending the Liberation Day march on the 25th of April. The day was beautiful and the march well attended. Mr Bowles, if you have a say in these things, I’d like this not to have been my last. Oh, do piss off, comrades. 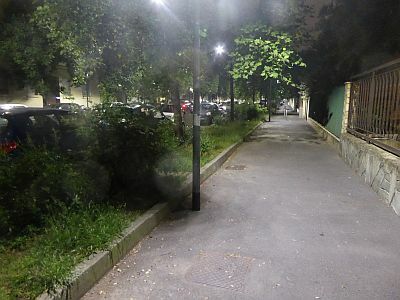 It may be the fear of crime that has led the council to install a second set of lights on my street, aimed not at the road but at the sidewalk. Walking there at night may be safer but has become decidedly eerie, as if an invisible crew were shooting a film. Under those lights I trudged back to the apartment on the nights we spent there, retracing old steps, feeling like the street had become a Möbius strip, and my fourteen year old son was a younger me – which I suppose he is – and that it would never end, this returning made painful by the absence of loved people and things.